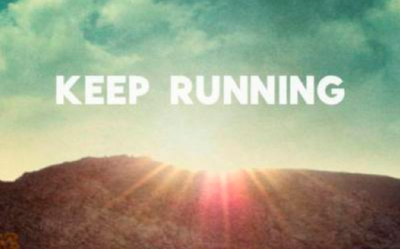 Actually, let's hope those hills are nonexistent because I'm running my first half marathon! I signed up to do the 13.1 mile run in September with some friends and family. I'm not a runner. So this challenge is a bit...umm...daunting. But there are some fellow non-runners running it with me so I have hope! A couple of years ago I ran a 10k and felt so incredibly awesome after running it that it's also motivation to tackle this next step. I'm following this training schedule that I found online and I am on week 1. That's 2.5 miles to do today! Another tool that I'm using is Map My Run. The tool includes a website and a mobile app that you can use to track your mileage, routes, pace, calories, etc. You can also "friend" other runners and keep track of each other's training. So far, it has been a big motivator for me. The tool is also nice because I can go out and run pretty much any route, and the GPS on my phone will track the distance. Calling all runners out there. Have you done a half marathon? How did you train? So exciting! Congrats on signing up for your first! When is the race? I'm planning on doing my second half marathon in November. Thank you! The race is the last weekend in September so I've just started a 12 week training schedule. Congrats to you for accomplishing your first 1/2 already and good luck with your second!